Add Howl's Moving Castle to this list of must-have movie books. Director Hayao Miyazaki is a master storyteller and his films have all become classics of animation. 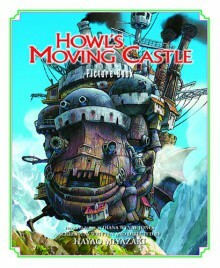 There's no better way to preserve the magic of Howl and his flying castle than by adding this delightful volume to your home library.